The Vaporesso NRG Sub Ohm Tank is the best and highest preforming new system to come from the Vaporesso team. This vape tank features a large 5 milliliter ejuice capacity, a heating insulation lay, unique mesh drip tip to help avoid that annoying spit back that some systems create and an ultra easy slide and fill design to help you fill and go with your favorite Vape Craft e-liquids. 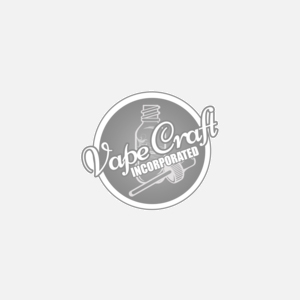 In this package you will receive the high preforming NRG vape tank form Vaporesso, a 0.15 ohm GT4 Core with a range of use between 30-70W and the higher powered GT 2 Core at 0.4 ohms rated this structure goes great between 40-80W of power. This new vape tank from Vaporesso is one of the most exciting and loved new systems to come from their platform in some time. If you're looking for a top rated system, then this is not one to pass up. Check out these Replacement Vaporesso NRG GT coils.